“What’s the difference between life coaching and performance coaching?” is the question we get most often. Though there is much overlap, we wanted to break down the key differences between life coaching and performance coaching. We will also share with you why performance coaching will give you a competitive edge in the market. Life coaching is figuring out what you want and working to achieve your goals. With a life coach, you work to close the gap between where you are and where you want to be. Usually, the structure is based around goal setting, accountability and being able to leverage your coaches experience to close the gap. While the structure of life coaching and performance coaching are similar, performance coaching takes life coaching to the next level by adding in more accountability, advanced coaching skills and tools and focus on optimizing your mind and body to perform your very best. Performance coaches will often include various ways to track performance to see if they are rendering the desired results. For instance, you coach may assist in tracking your sleep, meditation, breathing, exercise and so on. If your goal was to be more productive during the day, your coach may assist in time tracking to figure out where time, energy, or money is being wasted, identify the root cause, and then set action steps to take to achieve your goal of increasing productivity. Does Performance Coach University cover basic life coaching skills? Yes, our performance coaching certification provides a solid foundation in human psychology, life coaching tools and then dives deep into training you on advanced performance coaching tools and skills. As a performance coach, you will still be working with clients to lay a solid foundation around confidence, self-belief, awareness, and goals. With a performance coach certification you would be able to take the fundamentals of life coaching and amplify your coaching clients results with performance coaching tools and skills. In addition to closing the gap, performance coaching helps you sharpen the skills you already have to achieve greater success. Can I be a life coach and a performance coach? Absolutely. In fact, when you become a certified performance coach with Performance Coach University, you’ll get a great foundational in life transformation tools such as the basics of human psychology, neurolinguistic programming (NLP), life coaching tools. On top of all that, you’ll have advanced performance coaching tools to top it all off making you a very powerful coach that is ready and able to impact the lives of others. What are the advantages of being a performance coach versus a life coach? Choosing to be a performance coach allows you greater flexibility as a coach to truly hone in on your areas of expertise and work with clients based on that expertise to deliver results. 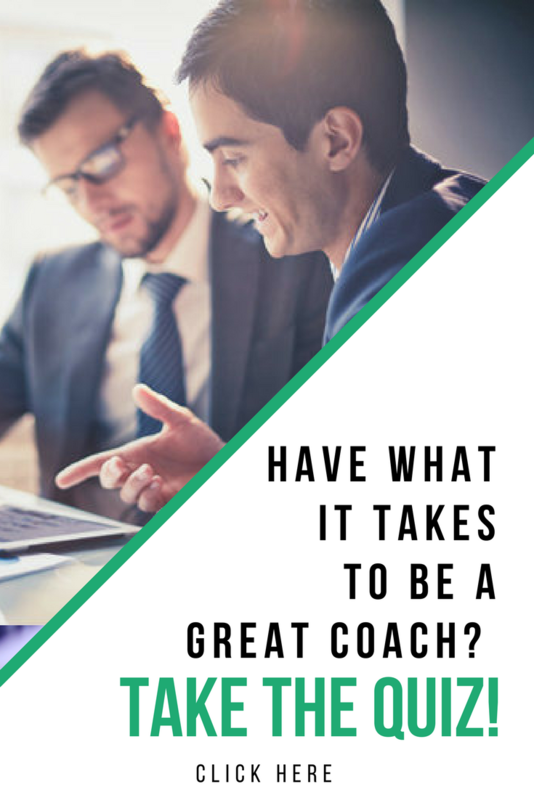 In addition, performance coaches are highly sought after by executives, athletes, and entrepreneurs who are looking to take their skills to the next level. Are you ready to become a Performance Coach? Join Us! Performance Coach University’s BCC Accredited program is ideal for those who want to make a big impact in the lives of others. Add more power to your purpose with our 12-week online Performance Coach certification course. Apply here: Course overview & Application! This entry was posted in Performance Coach and tagged Action Tips, better habits, business coaching, business tips, clients, coaching clients, goals, performance coach insights, performance coach university, teaching tools. Bookmark the permalink.